Do you know if you are charging enough to be profitable? It is extremely important that you plan your business. Pricing your business for profit is a significant factor in your business plan. A major headache in this industry is understanding how to price photography products and session fees profitably. No photographer wants to spend their time determining whether or not changing your prices will be profitable, or how an added expense will impact your bottom line. You want to focus on taking photos and just being an artist! New and seasoned photographers can both benefit from these workbooks. If you are a beginner, this is a great training tool for understanding how to effectively price your business. If you are a seasoned photographer, these workbooks are exactly what you need to efficiently organize your products and packages, and see how business changes affect your net profit. Works on both Excel and Numbers! Cells are color-coded and easy to use. Pie chart shows where your money is going (i.e. expenses, sales tax, income tax, cost of goods sold, etc.). Everything you need to price your business profitably! Will this work on my mobile device and tablet? Yes! 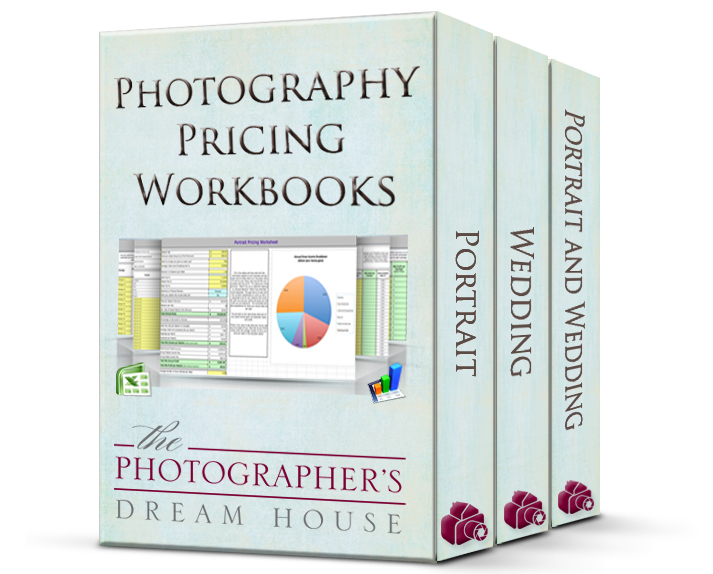 When you purchase any of the Photography Pricing Workbooks, you get a Numbers and an Excel version of the workbook. The Numbers version will work wherever you have Numbers installed, including iPhones, iPod Touches, and iPads. 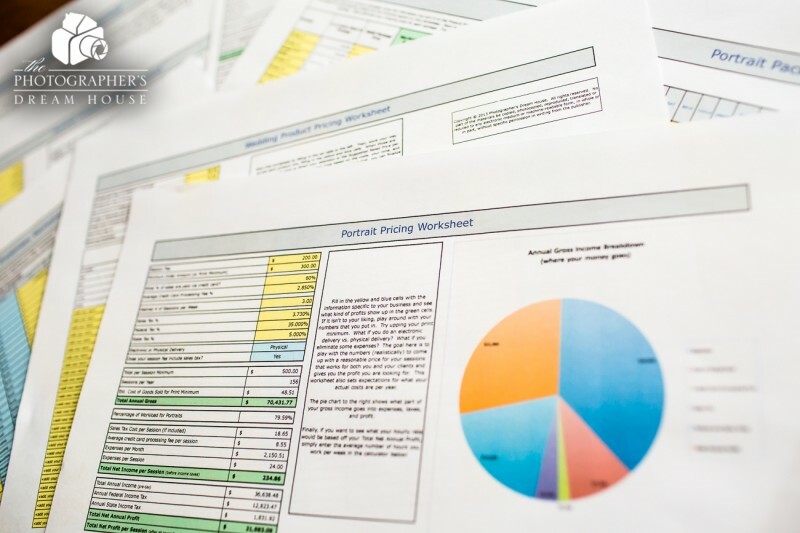 They are the only photography pricing guides on the market that will work in Numbers! Unfortunately, the Excel versions will not work on a mobile device or tablet. I have created separate pages for the three workbooks with screenshots and a walk-through video tutorial. This workbook is for those photographers only shooting portraits, headshots, seniors, children, families, etc. This workbook is for those photographers who only shoot weddings. This workbook is for photographers who shoot both portraits AND weddings. There is also a Frequently Asked Questions page with some more of your questions answered. Yes! There is a 14-day money back guarantee on all of the pricing workbooks. Give it a try, completely risk free! I offer this guarantee, because I am incredibly confident these workbooks will do wonders for you and your photography business. I will gladly refund you back your money if it doesn’t.